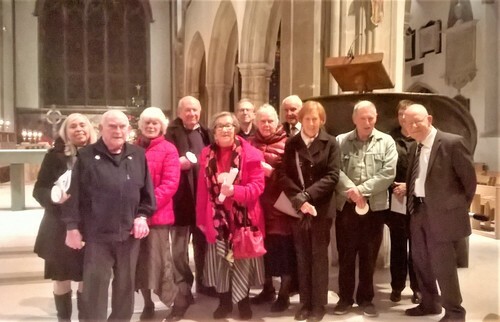 A crowd of us who usually attend Evening Prayer at St Mary’s met at Chelmsford Cathedral to help celebrate The Advent Procession. Although most of the group arrived early enough the Cathedral was well full by the time, we were all seated. After the welcome and the bidding prayer the lights were lowered as the Advent candle was blessed and lit along with each individual candle we held. The choir was magnificent, so wonderful to hear their beautiful voices before we joined together to sing the hymn ‘O come, O come, Emmanuel’. We had seven beautiful readings and hymns interspersed with music by the choir. The first reading was entitled - Light Dawns. The second reading was entitled – God appears to Moses, the third was – The promise of righteousness. The fourth was – The promise of freedom. The fifth was – The promise of glory. 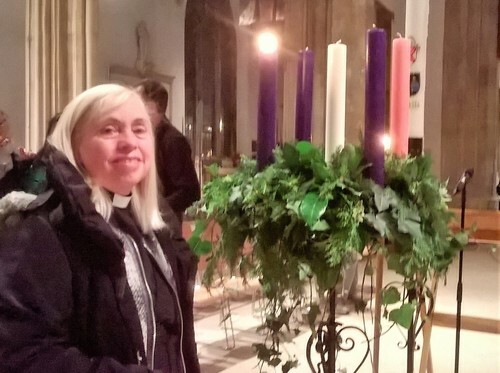 The sixth was – A vision of peace and the seventh reading was the Gospel reading from Luke 1: 5-25: 2: 57-67 entitled ‘A new light dawns.’ The choir sang the Benedictus, and prayers of intersession were said followed by the Blessing given by the Dean.